Vacuum your lawn of leaves, mulch, blooms, and debris the same way you’d vacuum dirt off your living room floor with this Billy Goat KV650H Push Lawn Vacuum. With the power of a 187cc Honda mower you can move around your lawn at 17500 sq. ft. an hour. 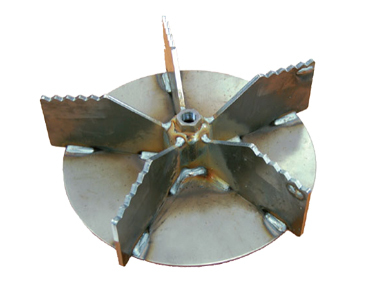 A 5 blade impeller chops up objects for better suction and debris pick up. Collect an impressive 40 gallons with the zipperless mesh bag that has marine style fasteners for quicker loading/unloading. And 12 inch wheels move quickly over hard, or soft terrain to keep this machine eating up debris. Honda Engine: All the power you need to power through your lawn at 17500 sq. ft. an hour is provided by the 187cc Honda Engine. Warranty: Feel reassured with this 1 year limited warranty on the unit, 2-year engine warranty (Honda consumer), 1-year engine warranty (Honda commercial). Received the Billy Goat KV650 and only regrets are my own should have got the self propelled but this is definitely a machine I have a leaf vac and it doesn't even compare, the power and amount of leaves it gathers is amazing. Also could not figure out how to get the bag attachment connected to the bag but figured it out later but I also sent an email in the process and received an email back that next day. One of my worth it purchases I've made. 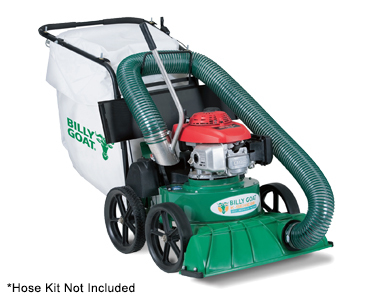 Ask us about the Billy Goat KV650H 187cc (Honda) Multi-Surface Push Leaf & Litter Vacuum . Please no repair questions. Your Q&A may be posted to MowersAtJacks.com to help other shoppers, like you, with their purchasing decisions. Thank you. How well does the KV650H pick up pine needles on lawns? Greg, it works well; just adjust height for smaller items. Paul, the KV650H is a push model, not self-propelled. The KV650SPH is the self-propelled version of this model. I'm deciding between lawn vacuums--- KV600 vs KV650H What do your technical people prefer; the Briggs & Stratton or Honda engine? Julian, Honda has typically been known in the industry to build slightly higher quality, more fuel efficient, and better performing engines. Which is usually why Honda engine-powered models cost a bit more. The KV650H is powered by Honda's 190cc GSV190 engine, while the KV600 uses a Briggs 190cc Quantum engine. Both engines are backed by a 2-year consumer warranty, however for commercial use, Honda still has a 1-year engine warranty, while Brigg's drops to a 90-day engine warranty. 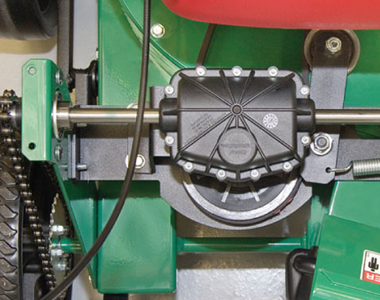 Add options now for your Billy Goat KV650H - Lawn Vacuum at a 1 time discounted price. When you are ready to check out, just click the ADD TO CART button.